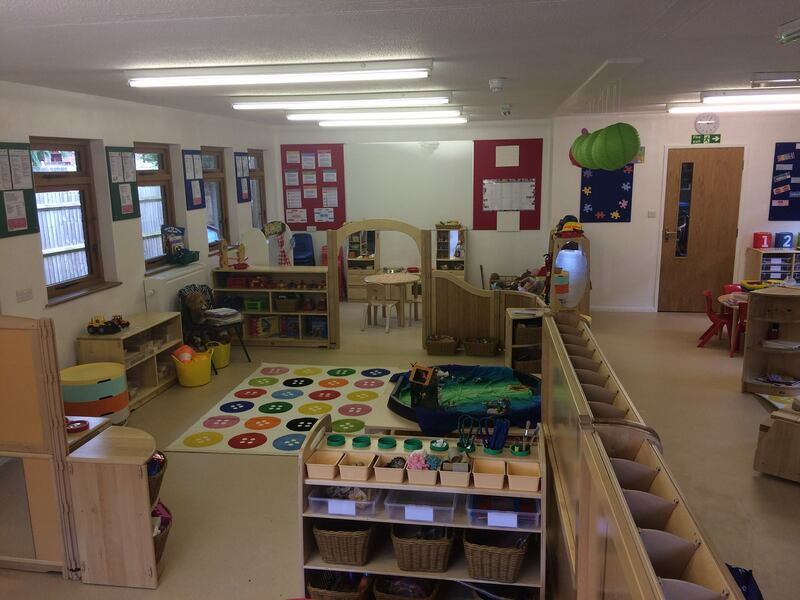 We have a beautifully equipped room dedicated to the pre-school with areas set up for water play, construction, dressing up and role play, reading, and messy play and art. We also have an all-weather outdoor area with bikes and scooters, a slide, and mud kitchen, as well as opportunities for the children to write, count and create outside as well as inside. We are passionate about children being able to play outside, and are very fortunate to also have access to a large field onsite which we make regular use of for games and adventures!